The holiday season is upon us, and if there is a beer lover on your list, you’ll want to check out these unique gifts. This year I am featuring items priced $50 or less, as the holidays should be a time to relax and enjoy rather than stress out about finances. It’s the perfect solution for gifting craft beer this holiday season. Casual and funny – our card boxes are great for grab-and-go host/hostess gifts, white elephant gift exchanges, client gifts or even just that hard to buy for friend or relative. Write a special note – open the attached card to write a special note to the recipient. Buy Online or In-Store – Available at more than 700 retailers nationwide. Popular new product – the #1 New Release in Greeting Cards on Amazon with over 100 Five Star reviews. An insulated stainless steel container to keep bottled beer cold! I’m personally very excited to get mine. Finally, a cooling vessel built specifically for bottles—and stubby size is available for those fat bottles! ● BottleKeeper is an insulated stainless steel container that keeps your beer bottle colder, longer, and sexier than ever. Cold beer not included. Bummer, we know. Also available: BottleKeeper 2.0, $34.99 (pictured above). The brand spankin’ new 12oz Standard 2.0 is the real deal. Insulated to keep your beer colder, longer, and protected from breakage, the 2.0 also features a Powder Coated finish for superb feel and durability (except Stainless), a bottle opener in the cap and a tether to keep it attached. This Microbrew Beer Bucket – 3 Beers contains three beers plus snacks. 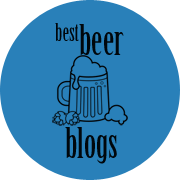 It includes microbrews that are local to the area, along with one from across the country, paired with an assortment of carefully chosen gourmet snacks, creating a special gift that any craft beer fan will love! Galvanized Steel Bucket – With the addition of ice, this sturdy steel bucket offers the perfect way to keep your brews cool. Samuel Adams Sam Seasonal – 12 oz. – Distinctive, flavorful beers that are created with the freshest ingredients to embody each of the different seasons. Sierra Nevada Pale Ale – 12 oz. – A uniquely piney pale ale brewed in copper kettles that sit in Chico, California. Shed Mountain Brown Ale – 12 oz. – This unfiltered English Strong Ale is a medium to full-bodied ale with moderate hop bitterness and caramel and toffee notes. Buffalo Popcorn by KingOfPOP.com – 1.1 oz. – Lovers of buffalo chicken just found their new favorite snack. Chichester Snack Mix by Merrimack Valley Snack Company – 2 oz. – A delectable mixture of premium gourmet nuts, crisp cheddar crackers, and tasty pretzel nuggets. Sea Salt & Cracked Pepper Kettle Corn by KingOfPOP.com – 1.4 oz. – Golden popcorn with a delicious combo of sea salt and cracked pepper flavors. Note: I am featuring this bucket, as it is under $50. But for those willing to spend a little more, check out the full line of beer gift baskets, ranging from $39.99-$119.99. Bevpod is the only lightweight, ultra-slim, cooler designed to be easy to carry so you always have both your hands free to grab other things. Plus, it’s the first cooler made to be easy to slip into a backpack, tote, toolbox, under the seat, saddle bag, stroller, or anywhere else that you can imagine. LIGHTWEIGHT & PORTABLE : 50% lighter than your average cooler. HANDS-FREE & EASY TO CARRY: Comes with a comfortable and detachable shoulder strap for easy carrying. COMPACT: Fits easily into a backpack, tote, or messenger bag. KEEPS DRINKS COLD FOR 8 HOURS: Our unique design and custom engineered ice sheets will keep your drinks cool for 8 hours. Just freeze your ice sheets overnight and use. Say hello to the best advent calendar in the world: the Craft Advent Box. Choose from one of three designs and fill it with 24 bottles and/or cans of beer of your choice (beer is not included in the box). Advent calendars celebrate the 24 days leading up to Christmas. Starting on December 1st, open the corresponding day’s window on the calendar. Using your finger, push in the finger punch then pull back the window. Reach in and pull out your surprise! Remember to thank the person who gave you this wonderful surprise and post a photo of what you got with #craftadventbox. This set from Spiegelau features an IPA glass, a Stout glass, and an American Witbier glass, each carefully designed to unleash the full flavor of your brew. This set of three beer glasses offers the premium hallmarks of pure Spiegelau quality. These German glass manufacturing giants have been making exceptional glassware for generations, and they’re constantly innovating to provide the best sipping experience for beer lovers everywhere. Inside the box, you’ll find an IPA glass that was designed in conjunction with Sierra Nevada, a Stout glass that’s the result of a collaboration with Left Hand Brewing, and an American Witbier glass that was worked on together by Spiegelau and Bell’s. Each glass is carefully crafted from non-leaded crystal and rigorously engineered to provide a superior taste profile that truly unleashes the full flavor and aroma of your chosen style of beer. The uPint™ is the ultimate beer Chalice. Made of durable 8/18 food grade stainless steel, and double-wall vacuum insulation to keep beer cold. Comes with an integrated lid with wide opening for easy sipping. Designed inspired by the uKeg, side divots make the pint easy to grip. The uPint can also keep beverages hot. Available in Stainless, Copper and Black Chrome exterior finishes. The uPint™ is ready and able to complement GrowlerWerks’ uKeg — the pressurized growler that keeps draft beer fresh, cold and carbonated. Made in Vermont by Potlicker Kitchen, this beer jelly set includes 4 jars of delicious beer jelly made with beer from some of New England’s top breweries! Apricot Ale Beer Jelly is made from non other than Magic Hat’s #9. A delightful fruity jelly that pairs well with cheese. Look up Potlicker Kitchen’s “Bacon & Beer Jelly Sticky Buns” for an awesome use of this jelly! Porter Beer Jelly – A deep and bold beer flavor. Take a snif when you open the jar and the chocolately smell wash over you. Pair this jelly with BBQ’d meats, butter cheeses, or peanut butter. IPA Beer Jelly – This bright, hoppy, fruity beer jelly is made from one of today’s most popular styles of beer, India Pale Ale. Distinctly jelly and distinctly hoppy. Pair this jelly with sharp cheddar and cured meats. What is Tavour? 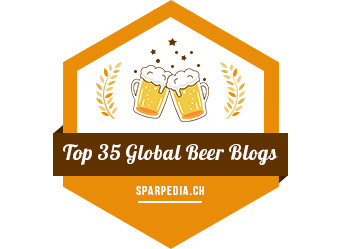 Tavour gets you amazing beer from around the world. Based in Seattle, they get fresh, unique craft beers from Independent breweries to discerning fans across the United States. From delicious local secrets to hard-to-find gems from far off places, get amazing beers you want right to your door. Cheers! Tavour is exclusive to its members and is simple to use. Here is how it works: It is not a beer of the month club. You only pay for the beer you chose over the course of the month. Accessing the lineup of delicious member-only beers is free. Just create an account. Tavour will introduce a new beer making waves in the craft beer community almost every day. If you wish to purchase the beer – just reply to the email/use the app to tell them how many you want. Your beer arrives fresh every few weeks (giving you enough time to fill a box and pay the least shipping cost). At this time, Tavour ships to the following states: Washington, Oregon, California, Colorado, Arizona, Nevada, New Mexico, Ohio, Wisconsin, New York, Nebraska, Connecticut, Massachusetts, Florida, Pennsylvania, New Hampshire, New Jersey, and Washington DC. Note: I’ve been using Tavour for the past 12 months, and I LOVE it! If you live in a state where it’s available, I highly recommend it. If you’ve cried over spilled beer during a concert, picnic, or other outdoor festivity, then you’re in dire need of an extra set of hands courtesy of of these Picnic Brew Stix bottle holders! Coming in a set of 2, these bottle holder stakes are the perfect solution to setting your beverage on the uneven grassy ground. Featuring a perfectly coiled design, these drink holders are covered in a radiant chrome finish and can fit most standard sized beer or beverage bottles. These bottle holder stakes measure approximately 14″ tall. If you’re a craft beer enthusiast, you’re likely already a convert to the glory of the beer growler. With this gift set, you can help spread the gospel of frosty deliciousness, or just buy it for yourself because it’s cool. Featuring a KegWorks growler (with cap), an insulated bag, and a tube to help you fill it up, this kit is revolutionizing the world of growlers. To sweeten the pot, you’ll also get a growler collar, specially designed to allow water to drip out and air to swirl in leaving your freshly cleaned vessel as pristine as can be. So what are you waiting for? Get yours now! Beer soap makes a great gift for your favorite beer drinker, homebrewer, or yourself! Scent Descriptions: Oatmeal Stout – Amazingly delicious beer soap that smells like oatmeal stout beer, crushed oats, honey, and milk… don’t eat it! IPA – This soap is made with IPA beer and ground hops, giving it a spicy, herbal, and earthy scent. Vanilla Porter – Made with porter beer and vanilla, this one gives notes of vanilla, brown sugar, and blackberry. Apricot Wheat – Made with apricot wheat beer and walnuts. It gives off scents of apricot, spice, and malt. Belgian Witbier – Soap made with Belgian Witbier, orange peel, and coriander. This one smells spicy, citrusy, and sweet! Honey Pilsner – Made with pilsner beer, honey, and crushed oats, this one has a scent with notes of vanilla, honey, and melon. 6 varieties of amazing soap made with real craft beer! Our beer soap is made with great ingredients like orange peel, crushed oats, and real hops. Never lose your cool. Kick that koozie to the curb. This is the last can cooler you will ever need. Arctican keeps cold cans cold for up to 3 hours. Simply freeze the cooling core base, twist it on, drop in a cold beverage and enjoy ice cold drinks for up to three hours. 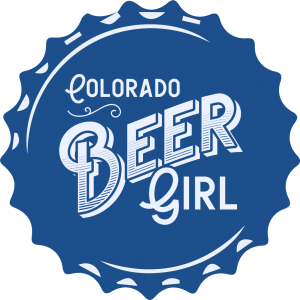 Note: This product is Colorado Beer Girl tested, approved, and recommended! Next Post Friek is here!